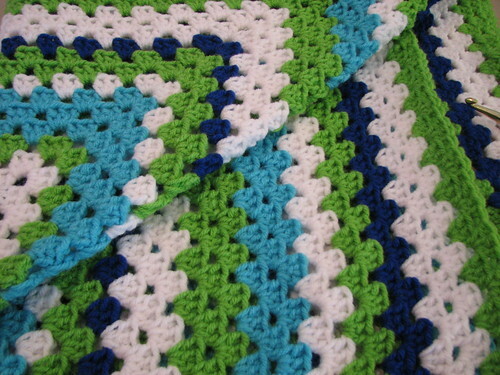 Okay, remember back during the Granny Square theme, when I posted a pic like this, swearing I would finish it sometime before I die, and promising a post when I was done? 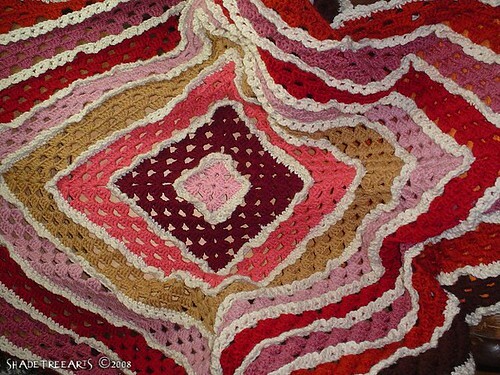 96 multi-color squares. 97, if you count the 17th that got stuck on a row of 16, by accident, discovered when trying to join strips and attempting to figure out what the heck I did. 96 squares of weaving in ends, having to redo because my tension was funny, and I ACTUALLY BROKE A HOOK. I wore it out. 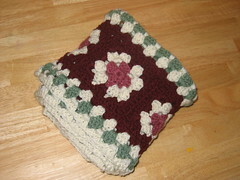 Something Old: I’m a little behind on posting for my Granny Square project, but I still wanted to show it off. The photo isn’t true to the colors; it’s so much prettier in person. I love the thing, and I’m really glad I used the colors I did (except for one, but I’ll keep that to myself :)). I tried to just use yarns in my stash, which I nearly accomplished. I only had to buy one to complete it. 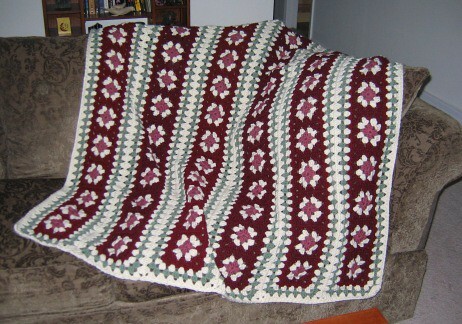 I actually finished this in the middle of February, about two weeks after I started it, but I was just today able to get a photo taken. 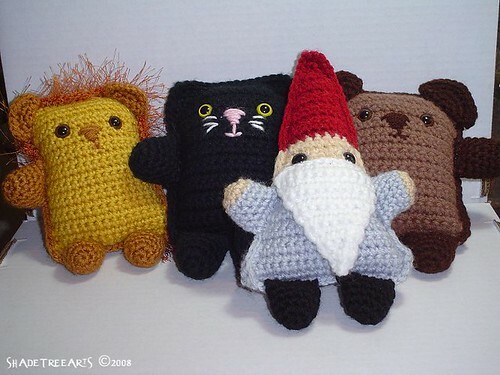 And now for Something New: I’ve been going a little Amigurumi crazy since the first of March. These little guys worked up so quick and easy, I couldn’t resist making one of each. They’re a mere 4″ tall and are so much cuter in person. I made the one with the yellow for the newest baby in the family to put in his Easter basket. I’m really glad I took the time to add the 4th strip of squares – it was really narrow before, and I think it looks much better now. 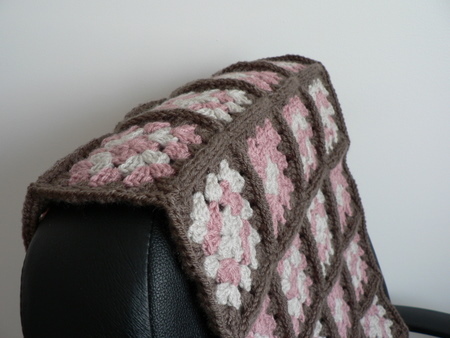 I joined the squares with slip stitch because I liked the ridged effect, and I bordered it with a row of single crochet all around the edge – the design is already busy enough, so I thought I’d keep the edging simple. See how the square is exactly the same size as the width of the top of the chair? I was hoping it would work out like that! I can’t believe they gave it a name other than Feb 29, but there you have it. 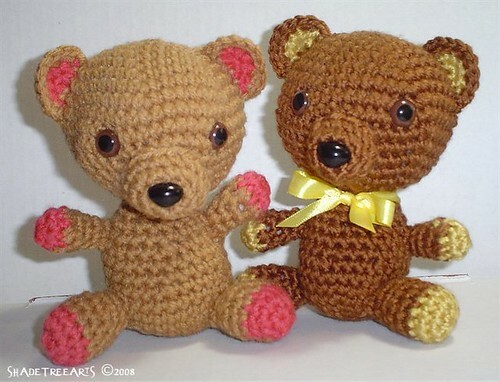 Anyway… You may already have seen this on the CRAFT: blog today, but I thought it was adorable and great for the last day of Granny Square Madness! Oddly, it kinda flows into our next theme, no? Hi all! I just joined this group but I’ve been grannying it up for awhile now! 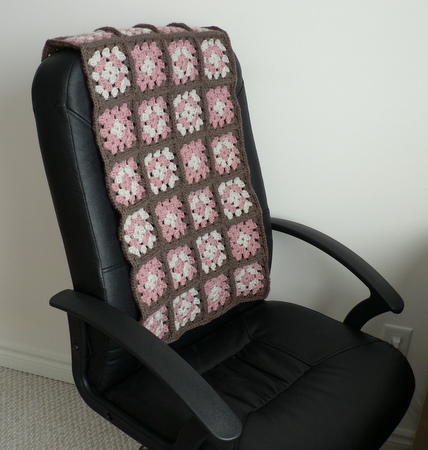 My name is Ann, and I hang around a lot on Ravelry and cross post a lot of my projects to my blog. 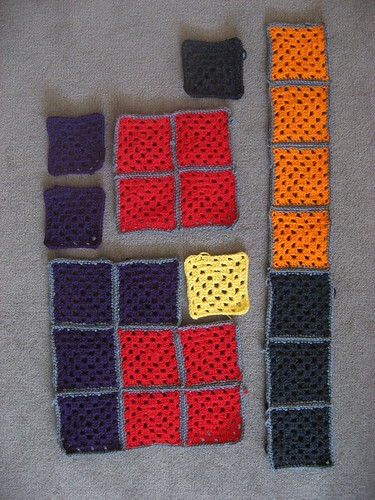 This is my first attempt at the Granny Square motif, so I decided to combine two of my favorite things: crochet and video games. It’s quite a bit further along than that now, but I haven’t taken a photo recently.